Summary: Tim Foster is an Anglican minister and the current Vice Principal of Ridley College. This book provides an Aussie case study based on his theological and missiological reflections of his own ministry journey in Sydney. He discusses how the gospel has been captured by some suburban, middle-class values such as family first, homogeneity, ordered natural environment, security and privacy, and how this gospel does not gain traction amongst people groups in the city such as the urbanites and battlers where those values are not shared. The suggested way forward concerns contextualisation of a gospel that is not impoverished and narrow but reflects the richness and breath of the Kingdom of God itself. 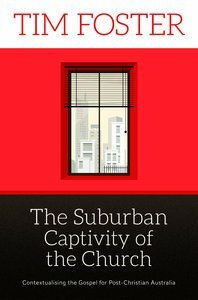 He challenges the Christian community to break out of its captivity to the suburbs and re-imagine how it can engage and transform the suburbs, for if it does not the consequences are grave. By acknowledging the importance of contextualisation in this journey, he explores the good news for the suburbs, especially for the two groups mentioned above which are underrepresented in the church. This book emphasises hope in the transforming gospel which has not changed from Jesus’ time and offers ways to encounter these distinctive groups. Evaluation: This book has been shortlisted for 2015 Australian Christian Book of the Year and has an easy style. I am using it as a textbook for my “Building Aussie Churches” class this semester. Tim has a real heart for the city and I believe it is a significant book for several reasons. Firstly, it displays a belief in the power and vibrancy of the gospel to transform lives and communities at a time when the church and its confidence in its message appears to be declining. Secondly, it provokes conversation on the nature of the gospel for the Australian context, especially in the suburbs, and identifies how middle class values have permeated the fabric of Jesus’ message with potential damaging effect. Thirdly, it begins the conversation around how to engage different groups that call the suburbs home and recognises that one approach does not fit all contexts. This can lead to creativity and diversity in approaching the ways we seek to faithfully contextualize the gospel in our contexts. Book Review- Mere Humanity by Donald T Williams. Book Review by Dr Stuart Devenish Donald T Williams. 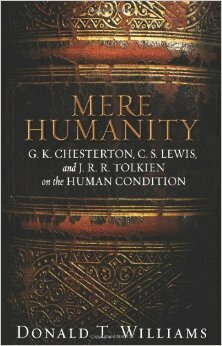 Mere Humanity: G.K .Chesterton, C.S. Lewis, and J.R.R. Tolkien on the human condition. Nashville, TN: B & H Publishing Group, 2006. Summary: Ron Highfield believes that many people fear God as a threat to their freedom and dignity. If God “fills all space and time, knows everything and exercises all power,” (p12) – i.e., is omnipresent, omniscient and omnipotent – as we have been told to believe, then how can there be any space, privacy or freedom for us? Defiance, subservience, and indifference are our attempts to protect ourselves from such an overbearing God. But is God really like this? Highfield claims that the God made known to us in Jesus Christ does not rob us of freedom but grants it; He does not deprive us of our human dignity but affirms it: “God’s almighty power, omnipresence and comprehensive knowledge, which seem so menacing when understood as attributes of a superhuman being, appear very different in the light of the cross. God’s power gives life and freedom, God’s omnipresence opens a place for us and touches us with infinite love, and God’s knowledge of us roots our identity in God’s eternal life. We cannot think of God as a threat when we understand that God’s very being is love and God’s every act is giving” (p13). In the first section of his book, Highfield draws on a wide range of moral philosophers, secular poets, novelists, and religious thinkers to provide an informative and intriguing story of the development of the modern human self with its aspirations for freedom, dignity, and happiness. In this scenario, God is seen as a competitive threat to the full realization of human potential. But the real problem, as Highfield presents it, is that we have come to think of God in terms much too like ourselves – a “sort of superhuman being who is everything we would like to be” (p13)! For me, the real delight of Highfield’s book is its second half. Here he discusses the real truth about God and the human self. Turning to the biblical witness, and the rich theological tradition, he first writes of the “self-giving God of the gospel.” This God is not jealous of us – for he is the very ground of our existence – he made us to love us! He is Trinitarian, and therefore he is not self-centred: “When we think of divinity as an enviable superhuman God, we cannot be thinking of the Trinity we meet in the Bible. The superhuman God does one thing: he wills himself. He seeks to dominate and absorb everything…The God of Christian faith does nothing for God! …The members of the divine Trinity love themselves only in their love for each other” (p125). In Highfield’s discussion we discover that the omnipotent God “does not overpower but empowers us for our own free action” (p140); his presence does not displace us but awakens and acknowledges us; and his knowledge of us is really a very personal and profound love for us, which allays our fears and invites our trust. 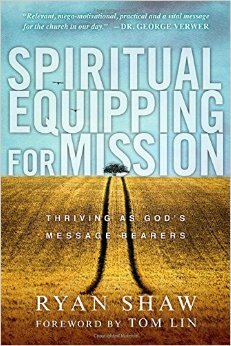 Understanding who God really is, and what he is like, brings about “a new way of being human” (p151). It is to this truth that Highfield now turns: “God’s relationship to us is the most fundamental fact about us” (p 148); our first act of genuine freedom is “accepting God’s love for us” (p 179). Entrusting ourselves to the Father of Jesus, we discover ourselves as his adopted children. All defiance, subservience and indifference dissipate. 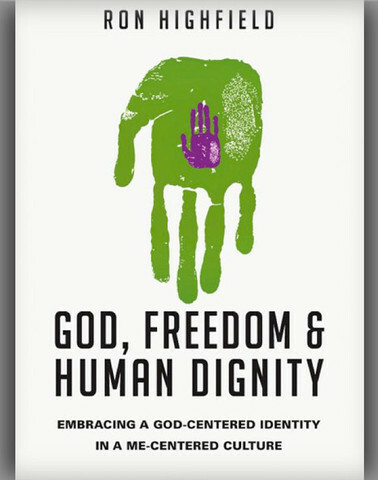 God’s love for us becomes “the ground and measure” of our dignity (p191); “God’s love makes us lovable” (p117). “The Christian picture of humanity empowers us for true selfhood, perfect freedom and the highest dignity conceivable. In Christ we find an identity rooted not in others’ changing thoughts about us, but in God’s eternal knowledge of us. The Spirit leads us toward perfect freedom of life in harmony with our truest self” (p 113). This is an excellent book – both informative and inspiring. I especially enjoyed the way the author draws on a wide range of sources in our culture (moral philosophers, poets, novelists and so on); together with the rich Christian tradition (especially the extensive referencing of Kierkegaard, but also many others); and of course from the biblical witness to the gospel of the Trinitarian God. This book rings with the exhilarating truth that the God made known to us in Jesus Christ is far more wonderful than we could ever imagine. 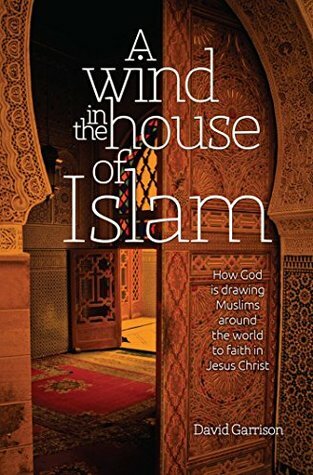 Summary: David Garrison’s book is based on interviews he conducted over a two year period of 1,000 Muslim background believers drawn from at least 17 of the 49 countries which are dominated by Islam. The respondents come from 45 of the 60 plus Christian “movements” in the past 30 years (a movement is defined as either having at least 1,000 baptised believers in a region or having at least 100 new worshipping fellowships formed in 20 years). This research is unprecedented. The structure of the book is built around the nine Islamic “rooms” (or regions) as he attempts to investigate similarities and differences in the faith journeys of these Muslim converts from across the world. Ten “bridges of God” (ways God is working among Muslims today) are identified, and he addresses a number of barriers to seeing movements like these flourish, along with practical steps to see them grow. Some common threads are identified like the word of God and the encounter with the living Christ. Evaluation: Not surprisingly, this book has attracted much attention. The comprehensive data and maps give a unique insight into the Muslim faith and a basis from which to respond. As Ramadan draws to a close it is a fitting time to reflect. The events of the past 12 months can provoke fear and concern but this book demonstrates that God is reminding us of His power, work and control, which some would think has been lost. Integral to this is the rise of prayer movements focusing on the Muslim World. (It needs to be recognised, however, these prayer movements cover up to only about 1.5% of the world’s 1.6 billion Muslims.) The challenge for us is to support such prayer movements, in whatever form we can, while continuing to educate the Christian community through this narrative about how God is at work, and thus, how we might be at work win the world today as well.